Arkusha O.G, Borodin E.I, Vidnyanskyi S., Gai-Nyzhnyk P.P., Soldatenko V.F. and others. “The history of government service in Ukraine. In 5 volumes. – Volume 1. Аркуша О.Г., Бойко О.В., Бородін Є.І., Віднянський С.В., Гай-Нижник П.П., Солдатенко В.Ф. та інш. Історія державної служби в Україні. У 5 т. - Т. 1. - К.: "Ніка-Центр", 2009. - 544 с. The first volume of "The history of the Government Service in Ukraine" analyses a wide range of problems related to the state formation, political and administrative system, organizing state administration and government service and to the government employees’ activities. Authors begin their study with the analysis of relations between ancient states and societies in Ukraine and complete it with the characteristic of state formation process in the West Ukrainian National Republic. All forms and types (national, imperial, occupation) administrative activity on Ukrainian lands are analyzed. 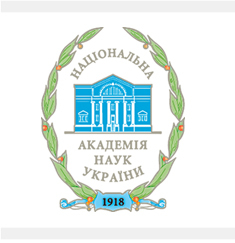 The fundamental research of the government service history in Ukraine is prepared as a part of the scientific project, which is carried out to-order the Centre for adaption the government service to the standards of the European Union, by means the State Budget of Ukraine and led by the Department of Government Service in Ukraine. The project is dedicated to the 90th anniversary of the establishment government service in Ukraine and is being carried out pursuant to the instruction of the Cabinet of Ministers of Ukraine " In commemoration of the 90th establishment anniversary of the Government Service" dated June 11th, 2008 № 817.